On Saturday, October 27, from 10 a.m. to 2 p.m. the Palm Bay Police Department and the Drug Enforcement Administration will give the public its 15th opportunity in 7 years to prevent pill abuse and theft by ridding their homes of potentially dangerous expired, unused, and unwanted prescription drugs. Bring your pills for disposal to Health First Palm Bay Hospital at 1425 Malabar Rd NE, Palm Bay. (The DEA cannot accept liquids or needles or sharps, only pills or patches.) The service is free and anonymous, no questions asked. 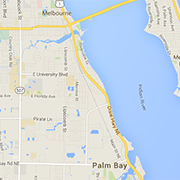 More locations available throughout Brevard County!